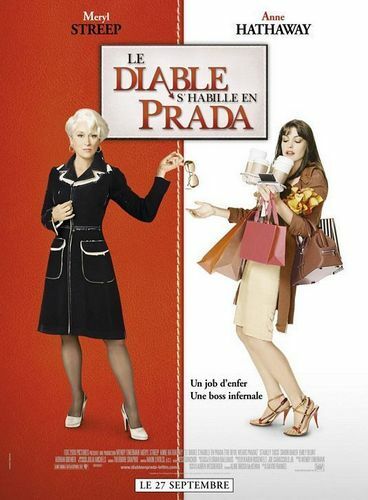 The Devil Wears Prada - Poster. . HD Wallpaper and background images in the The Devil Wears Prada club tagged: the devil wears prada movie poster different languages. This The Devil Wears Prada fan art might contain hip boot, thigh boot, combishort, combinaison de jeu, and combi.